This week is the Scottish Apprenticeship Week, and SalesAgility, the driving force behind SuiteCRM, is one of the businesses that is committed to support apprenticeships. Last year, hundreds of businesses took part in Scottish Apprenticeship Week, and the involvement of apprentices, training providers, colleges, councils, schools and others made it a big success. To make 2018 even bigger, we’ve created a case study containing the experiences from one of our apprentices and his mentor at SalesAgility. Continue to read our case study below, and get insights about how it is to have an apprenticeship at the company that makes open source software used my millions all over the globe! 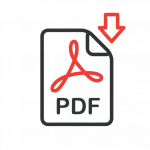 Alternatively, you can also download and print the case study in PDF format. SalesAgility is a well established open source CRM Consultancy with our HQ in Stirling, and offices in London and Zaragosa Spain. 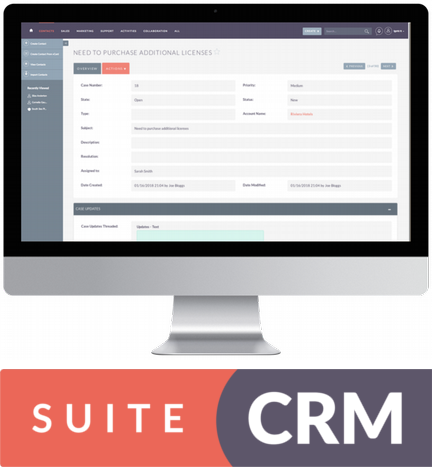 We are the driving force behind SuiteCRM, now generally acknowledged to be the world’s leading open source CRM solution. As a company we are actively engaging with schools and colleges to inspire and get to know students who may be interested in a career in Software Development. With over a decade of experience in delivering bespoke open source CRM consulting, continuous company expansion enables us to increase our skilled team on an ongoing basis, and we enjoy growing our own talent! “I left school at 16 and went straight into IT as a career. I’m now Chairman and Founder of a successful software company that employs more than 40 people, is approaching £2m in turnover and is growing at 40% year on year. If anyone should know that the primary qualifications for a successful career in IT are aptitude and attitude, it’s me. Cameron joined SalesAgility as an IT Support Apprentice in August 2016, aged 16. He has successfully progressed through the first year of his apprenticeship programme, gaining a qualification in IT & Telecommunications SCQF 6. Now he’s working as System Administrator, and continues his learning with the Linux System Administrator qualification. “This first few weeks were really great! I came into a really welcoming environment and was given small tasks where myself and Will (my mentor) worked through them together to help build my knowledge and confidence. This allowed me to learn in a way that was best suited to me, through visual and trial/error, rather than just reading information. I learn better in a hand’s on environment. Uni or college did not seem the sensible choice to help me learn and advance to the best of my abilities. The apprenticeship allowed me to thrive in my learning whilst getting my foot in the door with job experience for my future working life. I’ve learned how to evaluate and progress IT support cases, working to complete them within the defined SLA (service level agreements) while learning about the SuiteCRM product through the community forums, documentation and playing around with the CRM. Working and gaining a qualification was all about managing my time and I had lots of support from my mentor and the rest of the team. Now I am going into the second year, my role has totally changed. When I started off working in support I dealt with the low priority cases, now I am a System Administrator and working independently of the Support Department. I am working with senior team leads to set up all the photon servers, building docker and our new infrastructure, including all our migrations. This is more challenging and allows me to learn a wide range of new topics and skills. SalesAgility is a great place to learn! The team offer plenty of support and guidance to help achieve tasks and goals. As an apprentice I am treated no differently to any other staff member and have been welcomed into the company team. The work environment is very inclusive and fun. “Cameron was the first apprentice in a support role so I wanted to ensure I provided him with the tools and knowledge to learn. I thought there would be a lot of groundwork involved in getting Cameron up to speed, being able to provide support to our clients, but Cameron picked things up very quickly and showed that he was a very mature and intelligent 16 year old with a great attitude. When a new member of staff starts you always go back to what you first did when you join as a junior. Going through the whole process and getting someone to a level of autonomy in providing support gets you involved in the day to day tasks more, as in the Leadership position you are involved less in the details but in ensuring your team perform at their best. Teaching Cameron made me a better Team Leader and he re-motivated me with his enthusiasm. Cameron fitted into the team well (only 3 at the time, now a team of 5). Cameron has proved his willingness to learn and his ability to work independently by forming his new role as System Administrator and taking ownership of this, pushing forward the most innovative infrastructure we have had in my time at SalesAgility. As a company SalesAgility is actively engaging with high schools and colleges across Central Scotland to provide career insights to students who may be interested in a software development career. Our involvement with the Developing Young Workforce Forth Valley group has helped greatly in building relationships with the local schools and further reinforces our commitment to youth employment across the region. We are providing work experience to students who show the right skills and aptitude for software development. Our aim is to have a talent pipeline of motivated young developers who will hopefully become future employees as we continue to grow. Young employees bring a fresh enthusiasm to learn “hand’s on” and improve their own skills and working practices. Developing quality skilled employees helps us better meet our customer needs and we believe that people who feel supported, empowered and proud to work for us do their best. At present we have 4 apprentices, working in different areas of the business, talented young individuals adding value to the team. 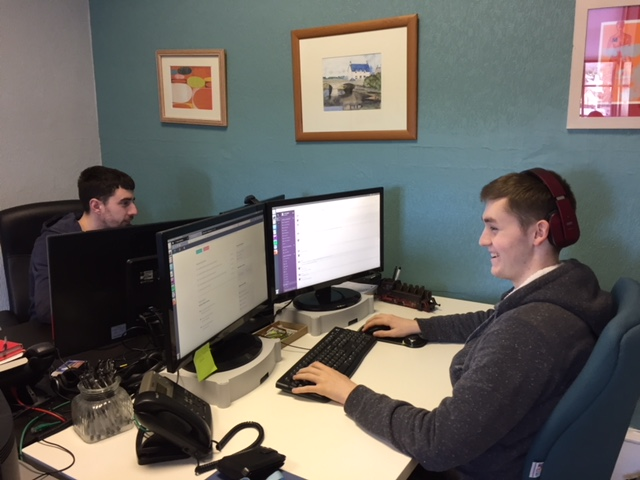 Our apprentices all work towards a Scottish Vocational Qualification (SVQ) in IT & Telecommunications over the first year, followed by a second year tailored to the individual job role. All new team members are mentored by our experienced team leaders and have access to further training/certification to suit specific job roles as an integral part of the process. Not only is this beneficial to the young apprentices but also to our existing team members, as it makes them look with fresh eyes at the tasks in hand. Future business growth demands additional talented team members and we believe that apprentices/junior developers have a definite role to play in our company expansion.